Memorial Gathering will be held 3:00 – 6:00 pm, Thursday, May 10, 2018 at the Rice Lake Town Hall, 4107 Beyer Rd, Duluth. A time for sharing of memories will begin at 4:00 pm. Frank Zatocil, 76, died in an auto accident Wednesday, May 2, 2018. He was born March 25, 1942 to Emil and Rose (Vomachka) Zatocil in Duluth, Minnesota. 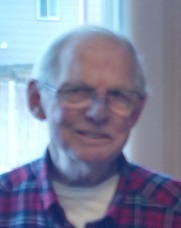 Frank was raised on a dairy farm in Elmer Township, and graduated from Toivola Meadowlands High School in 1960. He married Gloria Mannila on June 29, 1963. They moved to Duluth and Frank worked various jobs as purchasing agent, most recently at the Fon du Luth Casino. 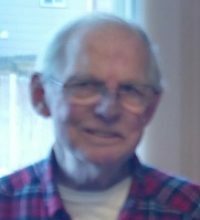 Frank enjoyed the outdoors, hunting and fishing, and all animals, trivia games, and dancing with Gloria in his younger years. He is preceded in death by; wife Gloria; his parents; and son Dean. Frank is survived by; daughter Dawn (Tom) Connor of Rapid City, South Dakota, son Jeff Zatocil of Duluth, Minnesota; grandchildren Alex & Molly Connor; sister Helen (David) Abramson of Meadowlands; special friend Pat Knudsen; extended family and friends.